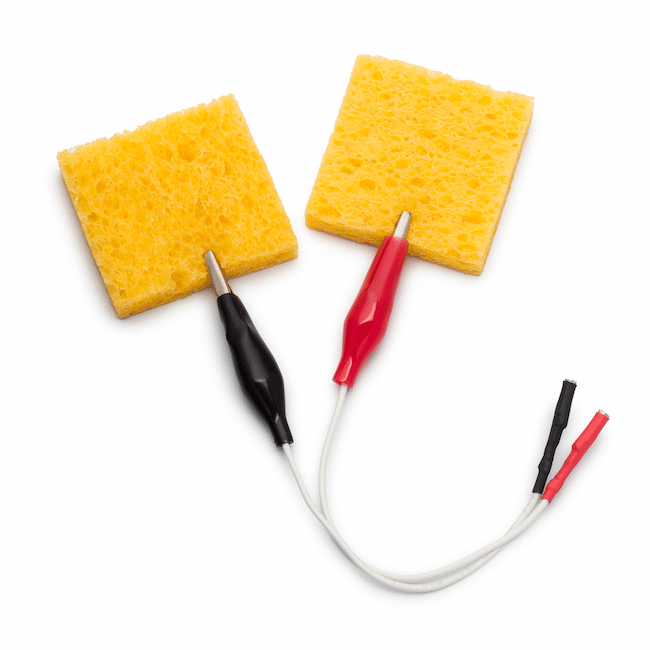 These alligator clip adapters are a great way to save money if you want to make your own sponge electrodes at home! You can learn more about making your own sponge electrodes on our Choosing The Right Electrodes for tDCS page. 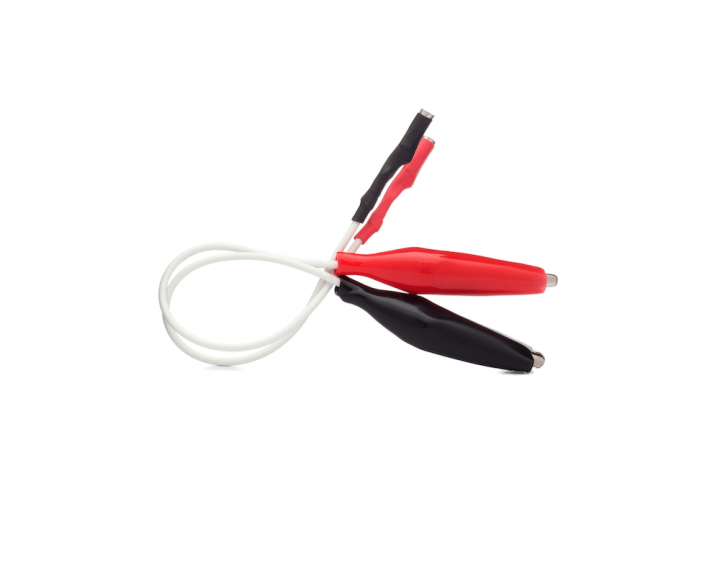 These Alligator clip adapters plug directly into the lead pins on the previous versions of both The Brain Stimulator and The Travel Model and provide a wide clip opening that will firmly grasp and transfer current to any home-made sponge electrode. Note: Please be sure that the metal of the alligator clip is not laying against bare skin during tDCS sessions. This could cause a concentration of current on that area. The best solution is to insert one prong of the alligator clip into the side of the sponge.